Having already been the subject of a West End musical back in 2011, the Shrek saga is now the inspiration behind a new London attraction. 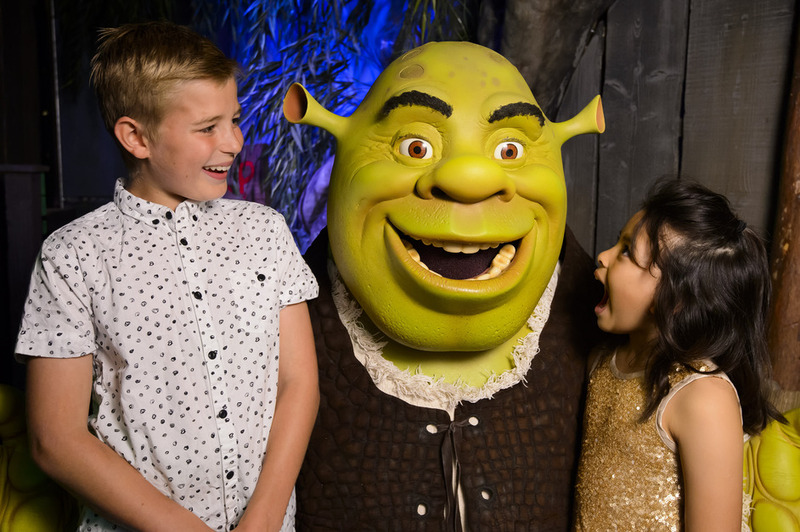 A partnership between DreamWorks Animation and Merlin Entertainments - the company behind the London Eye, London Aquarium and London Dungeon - Shrek's Adventure is a walk-and-ride attraction on the South Bank. Visitors are invited to jump aboard a magical 4D bus, with Donkey as the tour guide, and embark on a journey through ten live fairytale-themed shows. Once you buy tickets to Shrek's Adventure you'll be able to visit Shrek's swamp, find your fortune in the crystal ball, get lost in the mirror maze and meet Shrek and his pals, as well as characters from other DreamWorks films such as Madagascar, Kung Fu Panda and How To Train Your Dragon. What are the best dining options near Shrek's Adventure London? Shrek's Adventure gyms, sporting activities, health & beauty and fitness. The best pubs near London Shrek's Adventure. Shrek's Adventure clubs, bars, cabaret nights, casinos and interesting nightlife. Where to have your meeting, conference, exhibition, private dining or training course near Shrek's Adventure. From cheap budget accommodation to luxury 5 star hotels see our discounts for Shrek's Adventure hotels, including Park Plaza County Hall Hotel London from 88% off.